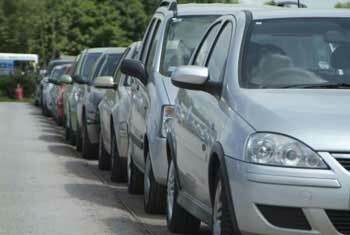 HolidayExtras.com is now offering Heathrow parking upgrades to complement your Heathrow airport parking booking. You'll be able to change your initial parking choice and upgrade to a closer car park or even a Meet and Greet service. You can also add an airport lounge to your booking, holiday currency or holiday insurance and pay for it all at once. Once you've selected the parking you want, the upgrades page will appear allowing you to customise your booking. 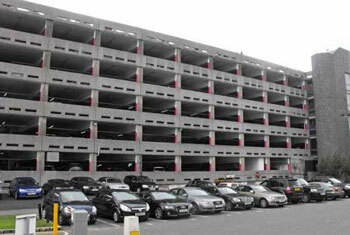 What Heathrow parking upgrades are available? You'll get the chance to change the package you have chosen and upgrade it to another parking option. If you've booked one of our Heathrow off-airport car parks, we'll ask you if you want to upgrade to an on-airport car park. And if you've selected an on-airport car park, we'll ask if you want to upgrade it to a Meet and Greet service. You can add one of our Heathrow airport hotels to your parking booking and start your holiday early. You can also add a Heathrow airport lounge and escape the crowded terminal for up to three hours before you fly. Here you can enjoy peace and quiet, sample the free drinks and snacks, watch TV or read the free newspapers and magazines. If you haven't yet booked your holiday insurance, you'll be able to on our upgrades page. Choose from worldwide cover or European cover. We'll cover everyone on your booking, all for one price. Our traffic assistant service, meanwhile, will be £1 well spent. We'll text you traffic updates on the day you travel so you can avoid any traffic jams. We'll also send you shopping discounts. For holiday currency, it's worth investing in the FairFX card - it works just like a debit card. You can load as much holiday money on it as you want, then use it pay for things when you're on holiday with no transaction charge. It also means you don't need to carry cash on you. Make sure you pre-book your Heathrow airport parking and your Heathrow parking upgrades. Not only are they all great value, you'll get everything sorted all in one go. Once you've made your booking, we'll send you your confirmation and all the information you need to know about each product.